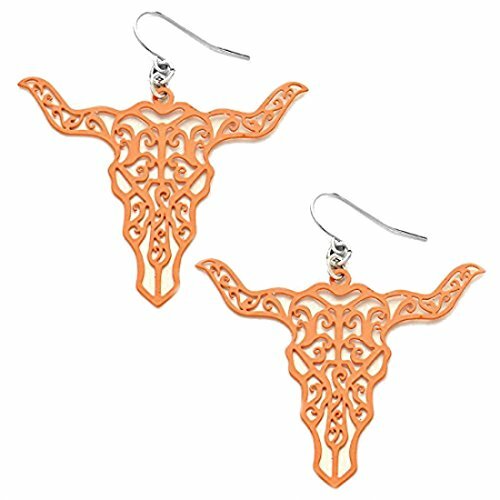 Burnt Orange fishhook earrings featuring a cutout longhorn. Approximately 2" Width and 2.25" Length. Great for fans of the Texas Longhorns. Approximately 2" Width and 2.25" Length. If you have any questions about this product by Sports Team Accessories, contact us by completing and submitting the form below. If you are looking for a specif part number, please include it with your message.